What we are most proud of, aside from our European bell peppers and eggplants of course is our sustainability program. We believe deeply in being environmentally responsible, but we don’t want to just meet the Ministry of Environment requirements, we want to lead our industry by doing far more than the minimum. Because we use a completely closed system, no nutrient solution ever reaches the ground water. We reuse all of it within our greenhouses. The material we grow in is not your typical plant soil; in fact it’s not soil at all. We use a soil substitute called coconut fibre, and when we’re done with it, our suppliers buy it back from us to put into another use. With every plant comes biomass, the vines and leaves that are left behind once the plant has reached its life span. Instead of throwing this out we pass it off to local farmers that are able to pull the methane from it using a methane digester, which allows them to generate electricity for their farms. 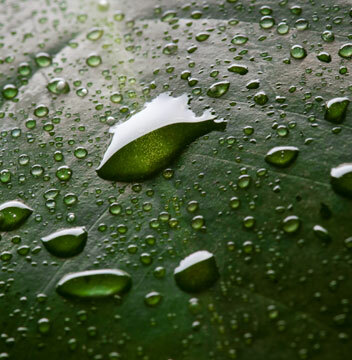 From capturing rain water to irrigate our plants, to using bees for pollination to collecting the CO2 generated in our greenhouses and feeding it back to our plants, our primary goal is to be as carbon neutral as possible. If this sounds like a lot of work, you’re right it is. But when you grow the best European bell peppers and eggplants in North America nothing else will do.